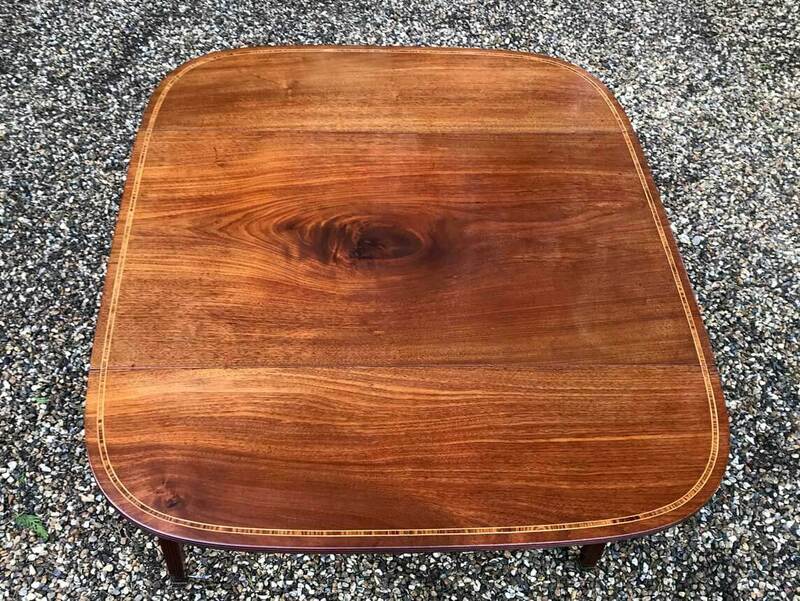 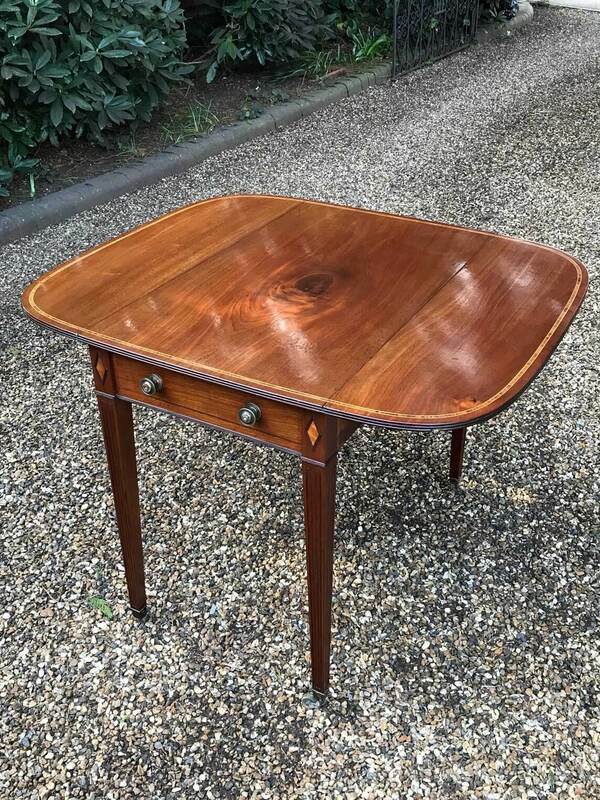 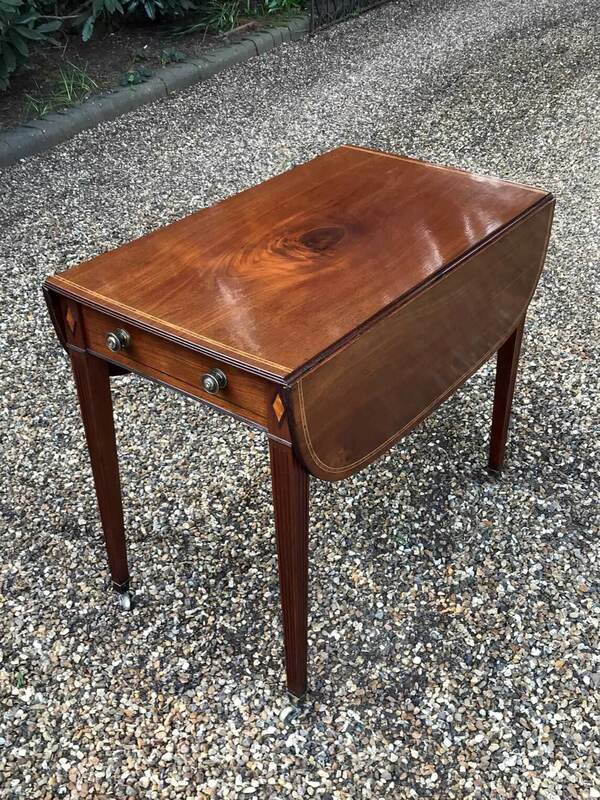 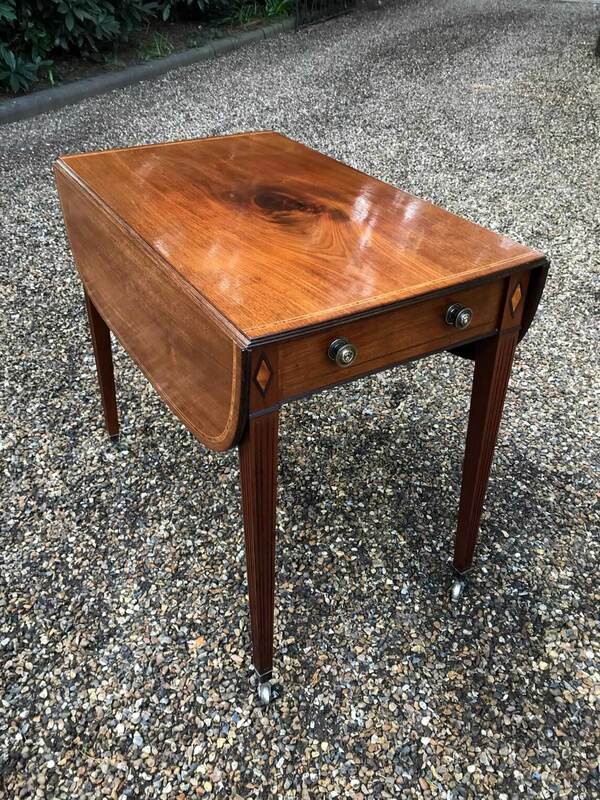 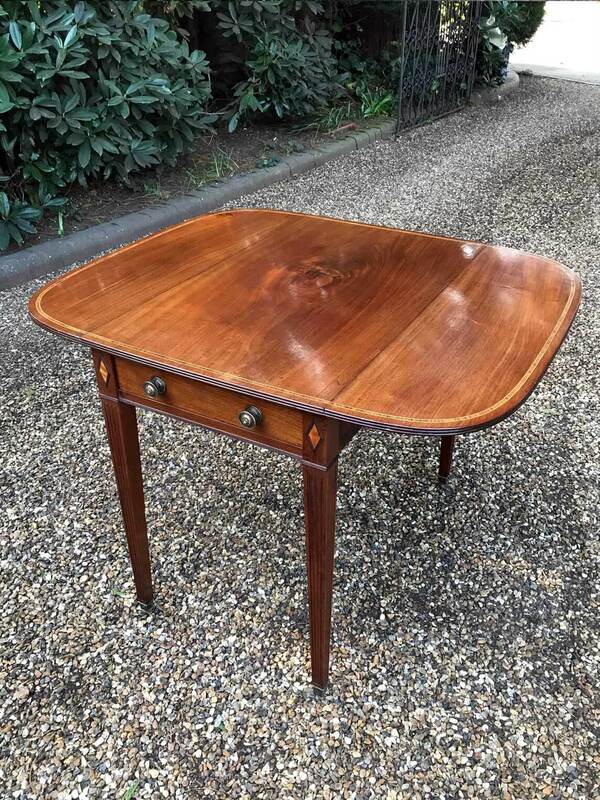 A very high quality 19th Century Georgian Mahogany Inlaid Pembroke Table with a crossbanded top edge in rosewood with drop leaves. 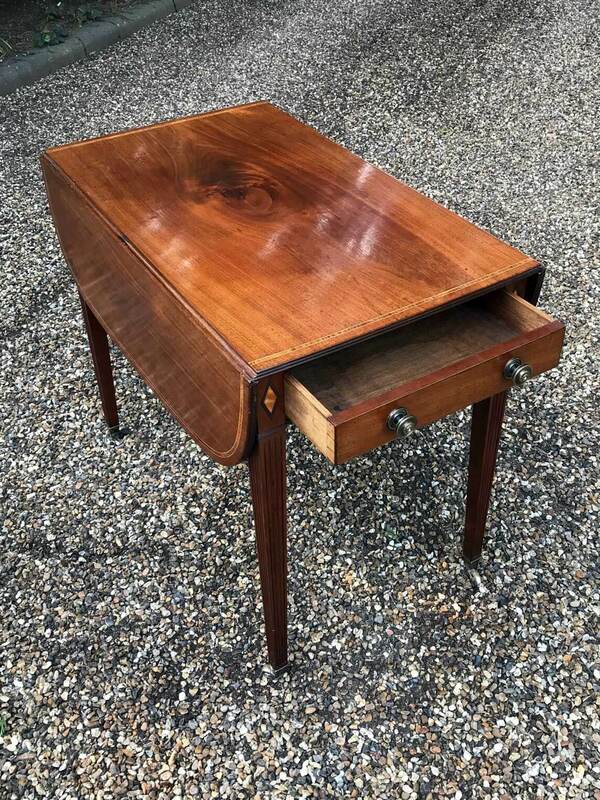 A solid oak lined drawer with original brass lion handles. 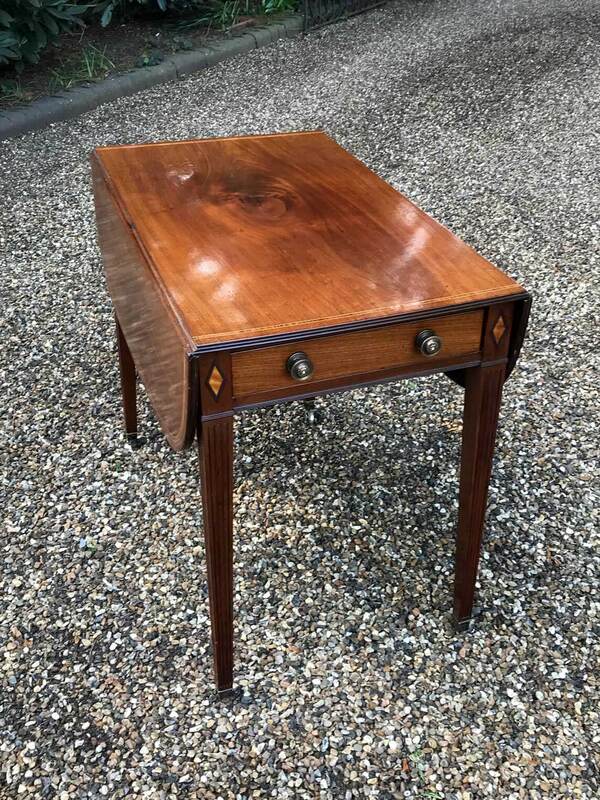 Standing on fluted reeded tapering legs with original brass castors.